What happens when you bring together a bunch of young people from around the world who care about solving the world’s most pressing issues? That’s what I discovered as a participant of the Young Talent Programme, supported by PwC and Drivers for Change, at the Social Enterprise World Forum last week. Selfies on our way to the World Forum. 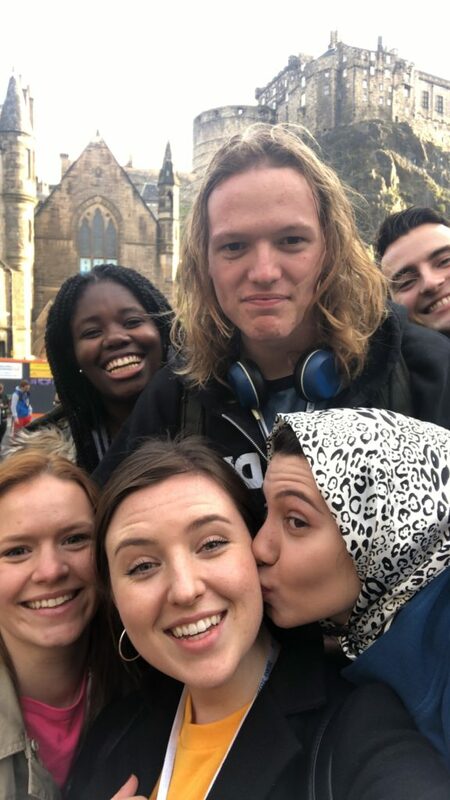 We were invited to Edinburgh for two days of intensive talks, workshops and project visits to inspire us to become the future leaders of the social enterprise sector. After that we joined the official three-day Social Enterprise World Forum, and finished the week feeling an odd combination of awe, motivation and absolute exhaustion. Spending five days immersed in social enterprise gave rise to some valuable conversations. 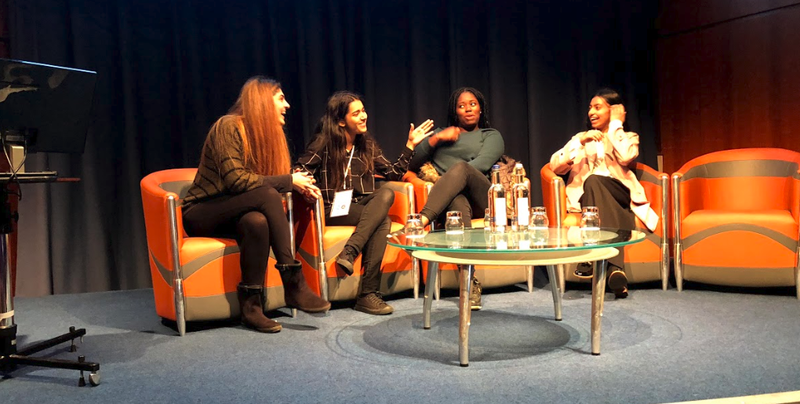 We discussed the role of social media in social justice, diversity and gender roles in business, our fears around starting up a company, and of course we followed one another on Twitter. But if the Young Talent Programme did anything, it showed me that wherever in the world we’re from, us young social entrepreneurs have pretty similar needs from the sector. 1. We need to hear real stories from social entrepreneurs ? Inspirational Instagram quotes are all well and good, but there’s nothing like hearing the real story of how someone started their business. Most of us had just an idea in our heads or were at the early stages of founding a social enterprise. So while more general advice like ‘just take the leap’ and ‘believe in yourself’ was motivating, we lacked a clear idea of how to put our ideas into motion. Hearing the concrete steps other people have taken in their social enterprise journey was infinitely more valuable (and yes it’s a shameless plug, but these sorts of warts-and-all accounts are central to SSE’s learning programmes). I was initially sceptical about the talk called ‘Inspiring and engaging young social enterprise leaders’. How could one talk, featuring four people’s opinions, possibly cover it? Viewing ‘young people’ as one homogenous group is simplistic and unhelpful, and done all too often (yes, even in the title of this post – I had to get you to click somehow). So I was relieved that the plenary featured presentations from young social entrepreneurs themselves. Andrew Bailie from FreshSight and Noa Woolloff from Inspiring Stories proved that young people are anything but the lazy, apathetic tech-addicts we’re made out to be. 3. We want real feedback ? We genuinely believe that social enterprise has the power to change the world, but we know it’s not easy. In one session, we were asked to come up with our own social enterprise ideas to solve a problem in our area. Activities like this are helpful to get the creative juices flowing, but we knew that most of our ideas wouldn’t be viable businesses – we came up with them in just an hour. Our first ideas will be half-baked and we appreciate people telling us how we could improve them. What happened when we found an empty stage. We’re nothing if not entrepreneurial! 4. Show us the numbers ? It seems like lots of people are interested in helping young social entrepreneurs. We heard from brilliant organisations offering free support programmes, accelerators and pro-bono advice. Don’t get me wrong, this sort of support is extraordinarily helpful. But there will come a point where we’ll need the cold hard cash to cover start-up costs. We want to know where to get it. Are you a young social entrepreneur? Think I’ve missed anything crucial? Share your thoughts with us on Twitter, Instagram or Facebook. Complaining on social media is what we do best.